In the development domain, there are numerous confusions over capacity development, advisory services and aid. It is a common understanding that for development we need problem solvers [consultants] which are cost effective, efficient and swift. Consultants excel at developing and selling ideas, and are the simplifiers and implementers. Hence, the argument is that advisory and capacity development aspect is ‘ambiguous’. In spite of these confusions, one thing becomes clearer: capacity development and advisory services are keys for transformational change; and aid effectiveness with capacity development system is more penetrating and sustainable for making systemic change. Capacity development supports are to identify the pros and cons of proposed courses of action and developing capacities of stakeholders to develop and implement themselves. Hence, the aid effectiveness in capacity development is more sustainable then merely consulting. 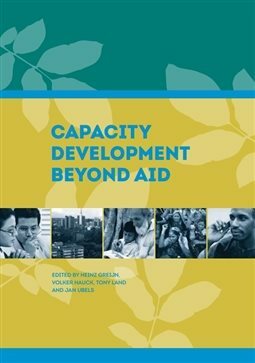 On this subject, an interesting publication just came out: Capacity Development Beyond Aid, which is a must read. The book outlines an agenda for future research and practice based on the substantive body of capacity development theory and praxis accumulated over the past few decades. It aims to contribute to the “what next” debate by synthesizing some key insights derived from a rapidly changing international development landscape. What does the changing knowledge landscape mean for the body of capacity development knowledge and praxis that has been built up in the aid sector over the past decades? Is there indeed a role for capacity development beyond aid? How can good practice be harnessed and further developed by those actors and stakeholders who are becoming less aid dependent, but who continue to face capacity challenges? What contribution can capacity development play in the difficult circumstances of fragility and instability, where the role of the international community will remain important for the foreseeable future? The book highlighted that for development, donors need to realise that they needed to work and act differently. The task of capacity development was not just about what countries needed, it was also about how donors engaged. It was generally acknowledged that uneven power relations, the imposition of policy conditionalities premised on financial leverage, was undermining local leadership and ownership. Too much doing and not enough facilitation easily resulted in substitution and a plethora of uncoordinated projects. Partnership and later aid effectiveness emerged as new concepts during the course of the 1990s and 2000s. At the most fundamental level, the Chinese proverb ’Give a man a fish… teach a man to fish’ continues to encapsulate the essence of donor-funded capacity development and highlights the perennial challenge of reconciling the pressure to solve today’s needs through capacity substitution while keeping an eye on promoting long-term capacity development. Concerns about sustainability and exit strategies remain pre-occupations in the aid community. The solution, it is generally recognized, lies in the ability of countries to drive their own change processes so they can find ways of building and sustaining human, organizational and institutional capacities.